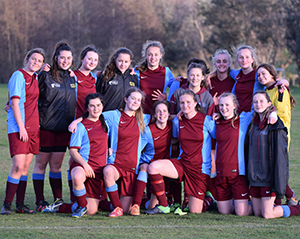 The Kuranui Girl’s First Eleven football team has enjoyed a very successful season winning their competition for the second year in a row and also completing the season undefeated. The team was also named as the Kuranui Team of the Year at the College’s Awards Evening . A highlight was competing at the New Zealand Secondary Schools football competition for the Grant Jarvis Trophy which was held held over four days at Whanganui. 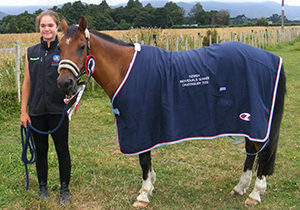 This competition attracts the best teams from colleges all over New Zealand with a total of twenty four teams taking part. Kuranui reached the semi finals to come in fourth place. Given that Kuranui team is from a small college compared with most of the other competing teams this was a very meritorious placing. Coach Chris James commented that in his considerable coaching experience he had never come across a friendlier or more dedicated group. The team is really grateful to have such an experienced coach as Chris whose training expertise was certainly a factor in their success. Also a big thanks to their manager Wendy Turton who looked after the organisational side of things to ensure that everything ran smoothly.